Milan is the second biggest city in Italy, behind Rome. It is considered one of the top influential cities in the world of fashion. 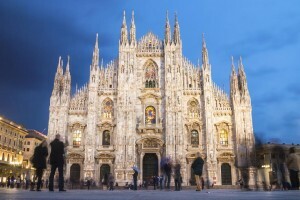 Each year, more than 2 million visitors explore Milan. There are many great things to do and see in Milan, more than just shopping! Galleria Vittorio Emanuele II is the one of the world’s oldest shopping malls. It was built between 1865 and 1877 by Giuseppe Mengoni and named after the first king of Italy, Vittorio Emanuele II. The Galleria roof is made of cast iron and glass and connects two of Milan’s most famous landmarks, the Duomo and the Teatro Alla Scala. Like the Galleria Vittorio Emanuele II, the Teatro Alla Scala is a world renowned opera house. It was built in 1778 after the Teatro Regio Ducale was destroyed by fire in 1776. Basilica Cattedrale Metropolitana di Santa Maria Nascente, also known as Duomo di Milano, is the 5th largest cathedral in the world. It took over 550 years to complete the infamous Gothic cathedral. Construction began in 1386 and was finally completed in 1965. One hundred and thirty-five gargoyles adorn the cathedral. They are more than just an ornament since they double as drainpipes. You can climb to the roof of the church where you can get a much better look at the incredible details that went in to building this magnificent church. When visiting Milan, it is one spot you shouldn’t miss! Another site not to miss while visiting Milan is Santa Maria delle Grazie. Here you will find Leonardo da Vinci’s legendary ‘Last Supper’. During WWII, the church was hit by bombs from both British and US planes. Luckily, the painting was saved by preventative measure that had been taken. The Last Supper is not a true fresco. Leonardo da Vinci decided that he wanted this painting to be brighter than his other works so he painted on drywall. His decision to do this has created many problems when it comes to restoring his work. Very little of the original painting remains today due to various factors and from restorations over the years. 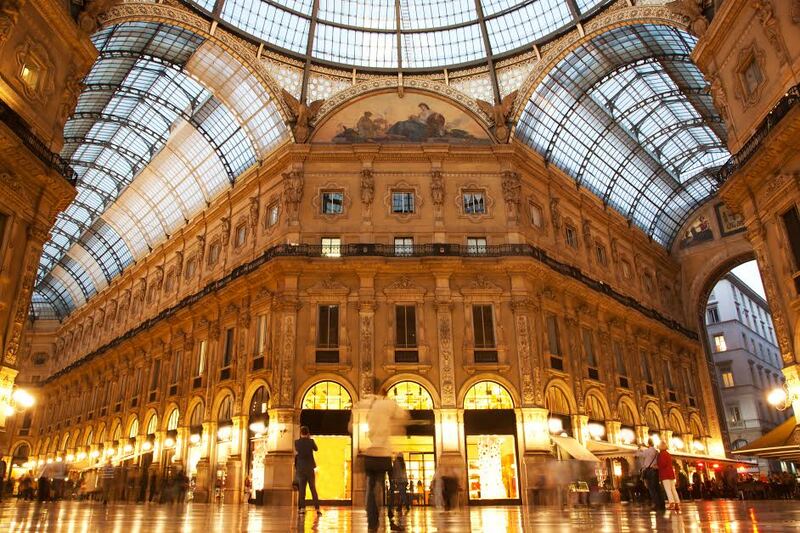 There is so much more to Milan than fashion, when you visit you will see this for yourself! Be sure to check out all of our great Travel Tips for Italy and the Travel Tips for Europe before you head overseas. This entry was posted on Thursday, March 13th, 2014	at 5:43 pm	. You can follow any responses to this entry through the RSS 2.0	feed. Both comments and pings are currently closed.